One of the most revolutionary devices in sewing history, the zipper forever changed the way clothing was designed. 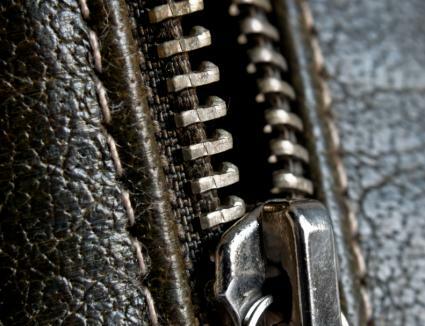 Like many inventions, the zipper went through a lot of design changes over the years. Who Invented the Zipper Used Today? Today's zippers bear little resemblance to the first designs patented by early inventors. It took three different men, many dramatic design improvements, and almost 80 years to create the zipper most seamstresses use today. Elias Howe, who invented the modern lockstitch loop sewing machine, patented the first zipper in November of 1851. According to his original patent, available for viewing at the US Patent and Trademark Office, he called the device a "Fastening for Garments, Etc." Instead of joining two rows of teeth, as modern zippers do, Howe's design involved distributing closure clips evenly along the area to be closed. At the time he invented the zipper, Howe was focused on marketing his sewing machine. He never pursued further developments in the "Fastening for Garments." 42 years after Howe filed his patent for the first primitive zipper, a mechanical engineer named Whitcomb Judson invented a zipper that used a pull tab to join two edges. This tab ran along a track, similar to a modern zipper, and joined hooks and loops together. Witcomb received his patent in 1893 and marketed the closure as a method for fastening shoes. He also hoped that it might be used for gloves, corsets, and bags, and he named the device a "Clasp Locker." He opened the Universal Fastener Company to begin manufacturing closures for shoes on a large scale. Unfortunately, design flaws meant that the Clasp Locker would open unexpectedly, and this may have prevented clothing manufacturers from using it in garments. At the time Judson died in 1909, the use of the device was limited to shoes. An engineer at the Universal Fastener Company, Gideon Sundback worked to improve Judson's design. He added the zipper teeth familiar to most modern seamstresses, as well as the side tapes that hold the two edges of teeth in place. He also made several improvements that created a more secure closure, eliminating the unexpected opening that users of Judson's original model experienced. Still called the "Clasp Locker," Sundback's revised design received its modern name when the B.F. Goodrich company used the device to close galoshes. The galoshes were marketed with a "zipper," and the name stuck in consumers' minds. Although Elias Howe originally patented the zipper as a device to fasten garments, the clothing industry didn't adopt the zipper until the 1930s. The device did not resemble Howe's design in many ways, but it represented a return to his original vision stated in his patent of "an automatic, continuous clothing closure." Today, zippers are a staple in sewing and garment making, and they close everything from delicate evening gowns to diver's wetsuits.